Summary: Kudakwashe Zireva campaigns for mining in Zimbabwe that doesn’t damage the land, impoverish the people, or provide an unsafe and unhealthy environment for citizens. Village heads and governmental agents have harassed him for his activism, but he remains adamant in advocating for changes in the mining industry—an industry that provides financial rewards for a chosen few but endangers many others. Profile: Zimbabwe is rich in minerals, including diamonds, gold, platinum and chrome. The problem is that the financial rewards from mining this bounty benefit only a very few, most of whom work for or with the government. In addition, minerals are extracted in Zimbabwe with little thought to protecting the environment, adding to the suffering of those living near mining operations. Kudakwashe Zireva founded the Mhondongori Community Development Trust to campaign for reforming the mining industry—fighting the environmental degradation caused by mining and working for years to gain just compensation for his fellow citizens affected by mining. Some of those citizens may have been killed in the mines, or they may have lost their land or livestock as a result of mining operations. 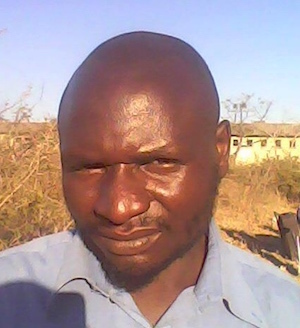 Zireva has also been harassed on numerous occasions by people associated with ZANU-PF, the ruling government party, who are working in cahoots with the local headmen and chiefs. Zireva charges that these ZANU PF members are being bribed by Chinese mining investors to silence villagers’ grievances and to allow more environmental damage. Meetings Zireva holds with various communities have been disrupted by rowdy youths acting on the behest of the village heads. Zireva is not just about complaining; he’s provided positive examples of how environmentally-friendly mining could benefit more people. But his focus remains on the damage caused by those who don’t care about whom they harm, for example by constructing dams that deprive downstream communities of water and by clearing land that results in loss of forest cover. Zireva has found some, but not many, receptive ears in the government about the need for mining companies to be transparent and accountable. There’s a long way to go, but he’s determined to stave off harassment and government obstacles in order to protect the land he loves and the people who live on it.